The I-95 Express Lanes project in Virginia and two former public officials from Florida and Pennsylvania were recognized July 16 as models of excellence in innovative transportation financing during ARTBA’s 27th Annual Public Private Partnership (P3) in Transportation Conference in Washington, D.C.
Ananth Prasad, HNTB Corp. senior vice president and former secretary of the Florida Department of Transportation (FDOT), which led the nation in design-build–finance project delivery. He also developed an internal P3 expertise/strategy that set a precedent for other transportation agencies across America. Bryan Kendro, former director of the Office of Policy & Public-Private Partnerships at the Pennsylvania Department of Transportation (PennDOT) and co-founder of the P3 Owners Council, which connects P3 directors around the country. At PennDOT, he delivered a series of innovative P3 projects that improved the Commonwealth’s transportation network and saved taxpayers’ money. 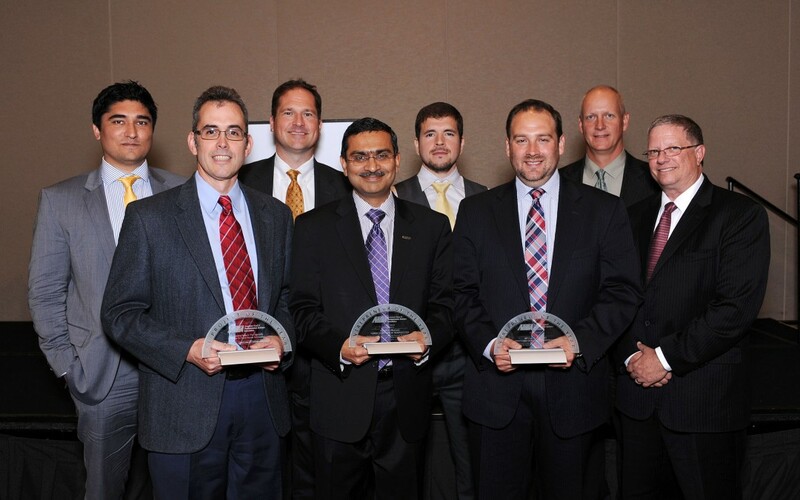 The I-95 Express Lanes in northern Virginia was named Project of the Year Award for demonstrating the value P3s bring to U.S. transportation development. The 29-mile highway section features an innovative all-electronic, dynamic pricing system that adjusts tolls based on real-time traffic conditions and eliminates the need for toll booths. The $1 billion project also includes dedicated incident response and a high-tech operations center. The high occupancy toll (HOT) lanes, opened in December 2014, are helping to alleviate congestion on one of the nation’s busiest roadways. The project team included the Virginia Department of Transportation, Virginia Department of Rail & Public Transportation, Federal Highway Administration, Transurban Group and Fluor Corp.